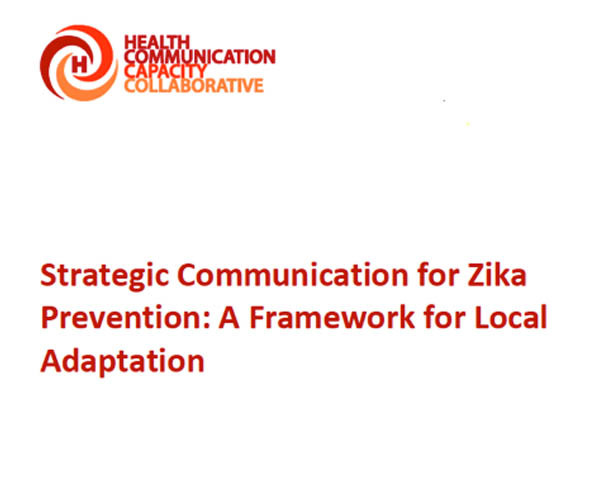 This Strategic Communication Framework provides step-by-step guidance and illustrative content for creating a communication strategy to communicate accurately and effectively about Zika risk and prevention in an easy-to-understand and comprehensive format. It builds on the messaging developed in the United Nations International Children’s Emergency Fund (UNICEF) Risk Communication and Community Engagement for Zika Virus Prevention and Control guidance and Key Behaviours to be Promoted in Zika Response, and is intended to guide country-level communication strategies. This framework follows a systematic process and provides content that is readily adaptable by any communication program. This framework supports one of World Health Organization’s (WHO) strategic pillars presented in the July 2016 WHO Zika Strategic Response Plan – to prevent adverse health outcomes associated with Zika virus infection through integrated vector management, risk communication and community engagement. Effective behavioral communication is essential as it empowers families and communities to make informed decisions regarding Zika prevention measures to protect themselves and their families.